When an illness reaches a beloved family member and they’re not given much time to live, it can be scary trying to figure out how to navigate such a difficult situation. Putting a family member in hospice care, although feeling that it’s the right thing to do, can still leave the family worrying about what next steps to take. A major misconception about hospice care is that it means that you’re giving up hope on yourself or a loved one. 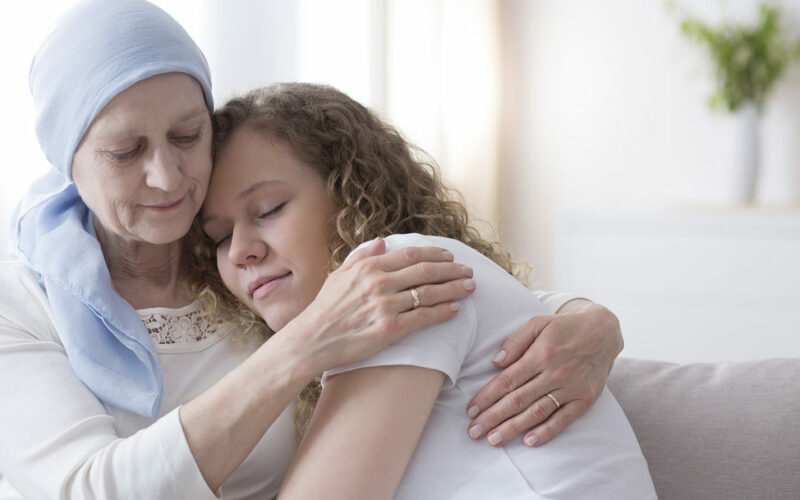 Hospice care is a step that is taken to provide the patient and their family with all the help and support they can get during this difficult time. Hospice care providers want to make sure that the patient has the ultimate level of comfort, whether they stay in hospice until they pass, or they improve and are discharged. But as a family member of a patient in hospice, you’re still able to be involved with your loved one every step of the way. At Hospice of South Lousiana, our goal is to provide symptom management and support for our patients so that they can live as comfortably as possible. Our support doesn’t just stop at our patients. Our services extend to friends and family as well, making sure they get the care they need during this trying time. One of the most common questions we’re asked by a family member is what can they do now that a loved one is a patient in hospice. Here are a few tips to help you and your loved one deal with their time in hospice. At Hospice of South Louisiana, we demonstrate our belief in the importance of communication by inviting family members of our patients to always come to us with any questions or relevant information regarding the patient. Talking with our doctors and nurses about care can help you feel more involved and confident every step of the way. We suggest bringing the whole family together when a member goes into hospice care so you can express your concerns with each other. Nothing should be off the table when it comes to communication about hospice care, including questions about medical care and patient needs. Financial advisors can offer guidance and help structure the patient’s finances when they pass. They can also be beneficial in handling estate planning, death taxes, and other financial issues that can arise so there won’t be any surprises coming up in the future. Though Hospice of South Louisiana does not employ financial advisors on our staff, our trained social workers can help guide you through this process. Whether that’s helping you find someone to answer those tough questions, or working with you on financial best practices, our eager staff is ready to assist you. When a family member is in hospice care, it’s only natural for grief to be a normal response. Coming to terms with the illness of a family member is never easy. At Hospice of South Louisiana, we provide counselors trained to help you prepare and understand the end of life. Our counselors can provide emotional, spiritual, grief, and bereavement services. If children are involved, we provide age-appropriate counseling or can help give you the tools necessary to better talk to your child about what is happening. Though not the most widely used option at Hospice of South Louisiana, respite care provides much-needed relief for primary caregivers. Respite care is used only for the short term and only an occasional basis. Certain criteria must be met to qualify for respite care, so make sure to speak to your hospice nurse or social worker to see if respite care is right for your loved one. When a family member goes into hospice care, it can be a difficult time for the rest of the family involved. But hospice care is meant to help both the patient and family find peace and comfort so they can spend more time together. At Hospice of South Louisiana, we want your family to feel comfortable knowing that every patient here is in the best of hands. Our tips are meant to help family members feel more connected and confident when a loved one is going through hospice. Contact us today to find out more information about what to do when a family member is going through hospice care.